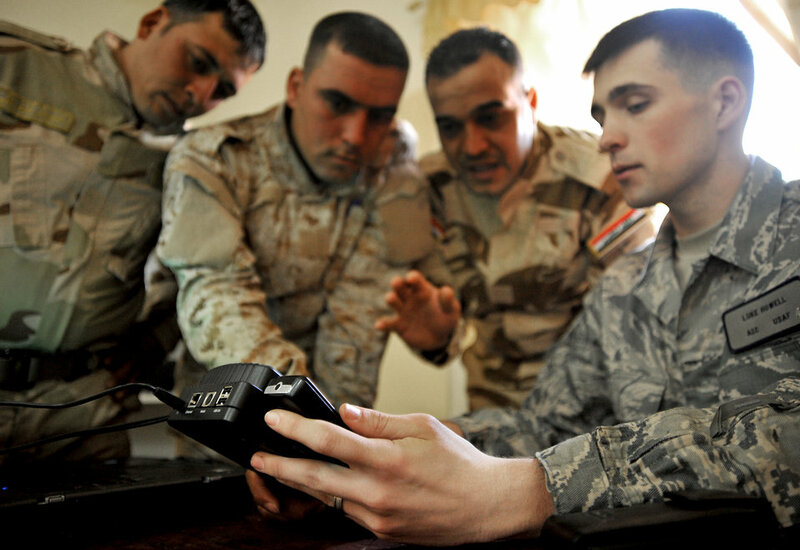 Airman 1st Class Luke Howell shows Iraqi soldiers how to use a CelleBrite machine to gather intelligence from a phone Jan. 5, 2011, on Joint Security Station Constitution, Iraq. Airman Howell is a documentation and media exploitation analyst at Camp Liberty, Iraq. The DOMEX mission is to gather actionable intelligence from documents, electronic devices and other materials collected on the battlefield.